Medical Students in Action (MSA), a 501 (c) (3) non-profit charitable organization travels bi-yearly to the rural villages of the Dominican Republic, providing medical and dental care as well as public health education to the under served. 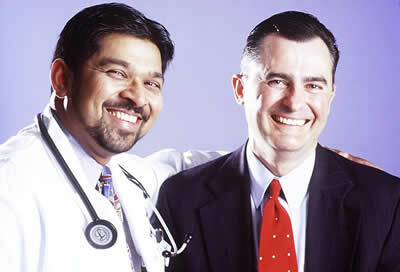 The medical team is led by Steven E. Chavoustie, MD, FACOG, MSA of Miami and Donato Arguelles, MD, FACC of Coral Gables. The current mission departs for the DR on March 29th. All medical/dental personnel volunteer their expertise and time. In their 10th year of operation, the medical and dental teams are comprised of volunteer doctors, medical students and Carrollton Sacred Heart students. The organization relies solely on charitable donations for their medical mission. All donations go to providing medicines and supplies to the people served. Ranked by number of beds, Hialeah Nursing and Rehabilitation Center (276) ranked fifth while another Miami-Dade facility, Unity Health and Rehabilitation Center (294), was fourth and West Palm Beach based Joseph L. Morse Geriatric Center (310) came in third. Occupying the number two and number one spots were, respectively, Broward based Sunrise Health and Rehabilitation Center (325) and Miami Jewish Health Systems (462).